SEM welcomed Ableton on Friday November 2nd as we hosted the Manchester Ableton Education Tour. 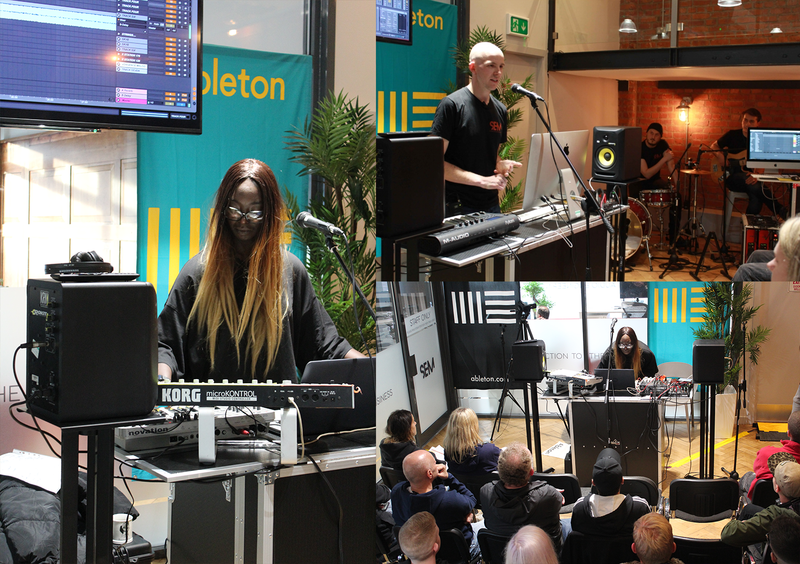 The event which took place in SEM’s new event space gave students and guests the opportunity to find out more about Ableton Live and featured a special appearance from Manchester based Producer and DJ, Afrodeutsche. SEM welcomed Ableton on Friday November 2nd as we hosted the Manchester leg of the Ableton Education Tour. The event which took place in SEM’s new event space gave students and guests the opportunity to find out more about Ableton Live, Push and Rednet. The day’s activities commenced with a special appearance from Manchester based music producer Afrodeutsche, who shared her Ableton Live workflows, her writing process and talked about the ways she uses Ableton Live on stage during live performances. The Ghanaian / Russian / German composer, producer and DJ showcased the fundamentals of digital composition in a more instrumental context using Push, Ableton’s hardware instrument and the audience watched on as she gave her tips of how to take control of rhythm, sounds and song structure in a unique way. Tom demonstrated how to set up and record a musician at several workstations simultaneously using Ableton Live and Network Audio and discussed the advantages of using these tools ain a recording environment with Ableton Live. As the session progressed, he also demonstrated how Dante can be used to route audio between instances of Ableton Live, a simple solution for multi-computer live setups.